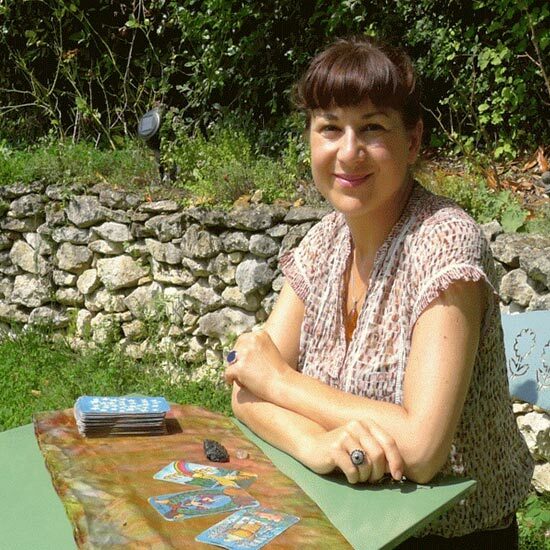 Louise is a natural Intuitive, who has specialised in Tarot, for 27 years. Her warm and friendly approach, centres around honesty, clarity, and a deeper understanding of life. She reveals what our deeper conscious’s want us to know. Her aim as a Reader, is to help clients to develop their own inner wisdom in their day to day lives. This is a core aspect of her work. They can tangibly work with her guidance for months and even years after a session. Louise wants her clients to feel empowered and reassured after having a session with her. Louise has studied Buddhist Philosophy and meditation for the last two decades, taking her to India for prolonged periods of time. Her close connection to her spiritual Teachers and ongoing studies, has helped her to develop essential points in kindness and wisdom. She has built up a loyal and international client base who come from USA, Canada, Europe, Australia and Asia. Louise has also learned a variety of intuitive arts, including Palmistry, Astrology and Graphology. She also has a Business Development background, which is useful for business owner clients. Natal Twelve Houses Astrology – Tarot combo. Louise looks forward to meeting you soon. Please drop her a message to say hello, and to learn more about her services. She is always happy to answer questions. £60 for an hour, £40 for half hour. £45 for an hour intro offer.